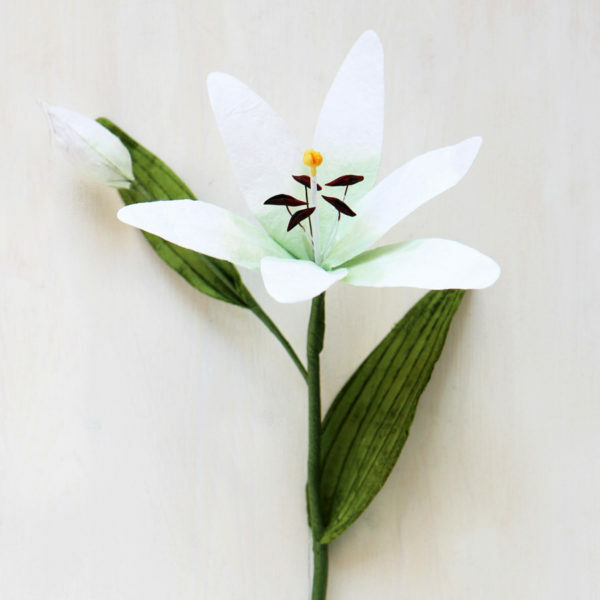 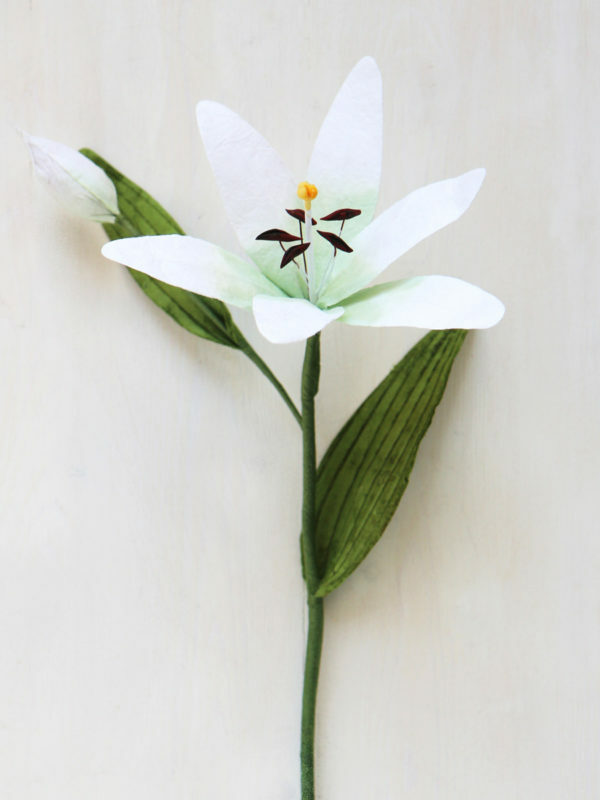 Paper Lily in ivory/white with a tinged green centre. 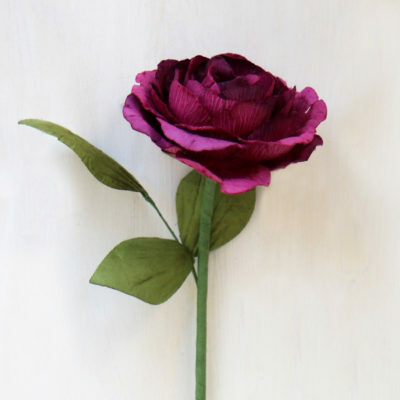 Beautifully hand crafted with an open flower and bud. 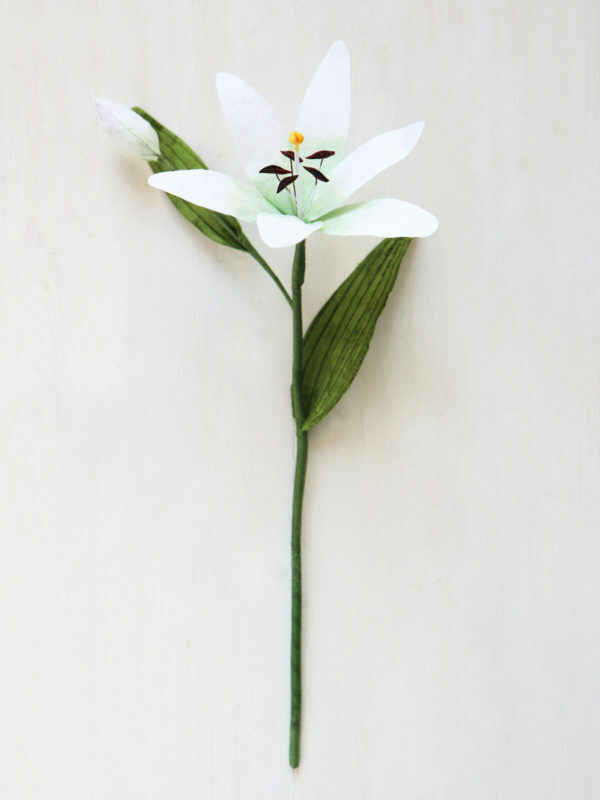 The flower stem is a standard size, approximately 40cm long and the flower 10cm in diameter. 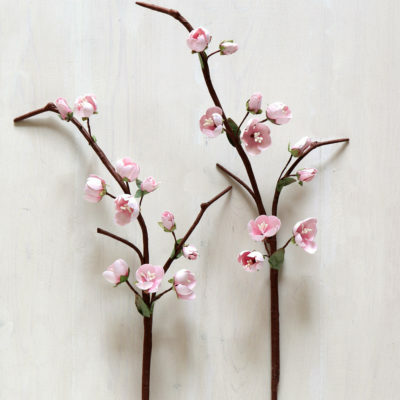 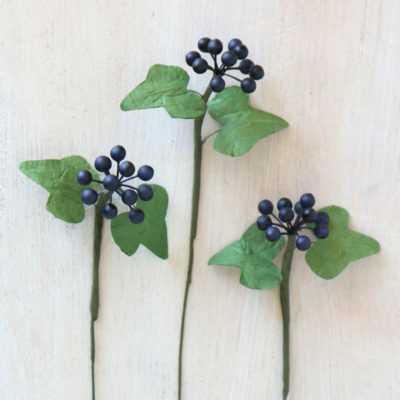 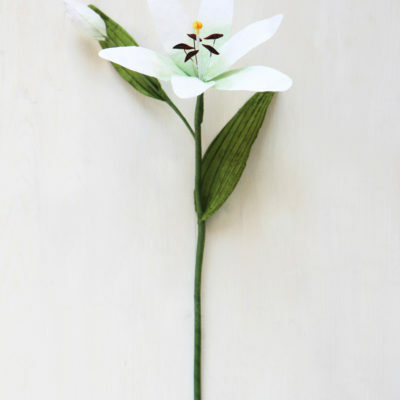 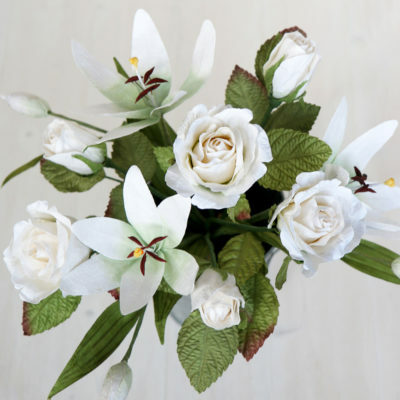 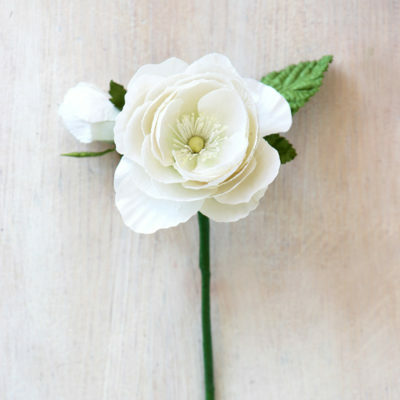 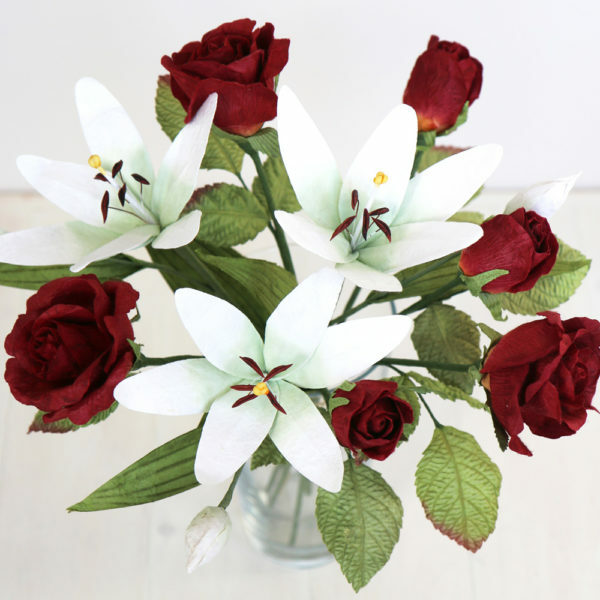 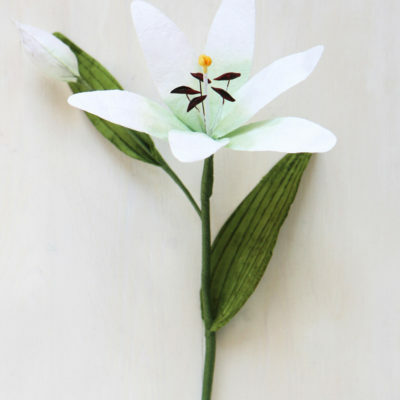 Stunning as a single stem or as an arrangement or bouquet mixed with other paper flowers.